How did Allen Iverson & Mike Tyson lose their fortunes? These guys made hundreds of millions in their career only to end up broke. In this episode, Max uncovers the reason why & how you can begin the journey of creating real, lasting wealth through understanding "The Financial Thermostat"
Max uncovers the deeper reason why these millionaires end up broke and more importantly what YOU can do to avoid the same outcome. The goal isn' to make money. The goal is to become "Wealthy." Listen to this episode & begin the process of creating true "Wealth." Max Knowles is an entrepreneur, master marketer, and consultant. 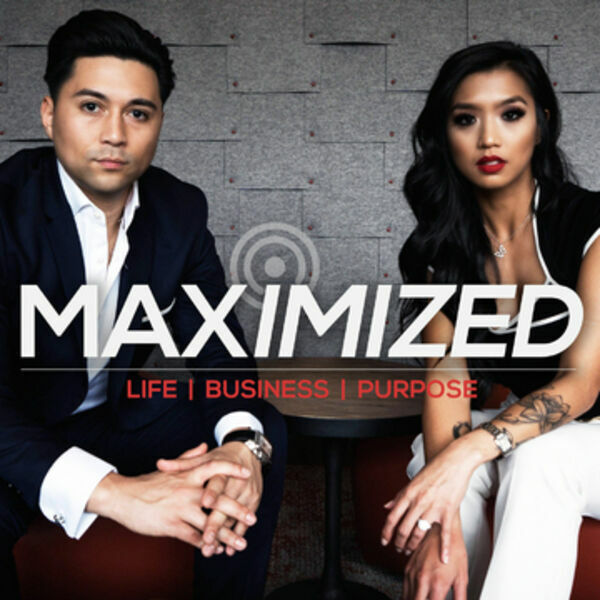 Max's mission is to equip and empower aspiring entrepreneurs with the systems, tools, and strategies that will allow for breakthroughs in business & in life. Visit maxknowles.com where each week Max releases youtube videos, blogs, and live streams. Speaker 1:0:04Welcome to the maximize podcast. I am your host, Max Knowles. Each week I'll be delivering high value, high impact content to help you take your business and your life to the next level. Join in on the conversation by visiting [inaudible] DOT com. There you'll find our blog, our social channels, and tons of free resources. So let's get started. Welcome to episode six. Speaker 2:0:34Have maximized radio today. We're gonna. Continue our conversation around money and finance. Last week we went into something called the freedom formula, uh, where I talked about how new entrepreneurs who are just starting out could in fact have a plan to go full time from their job to their business. Speaker 2:0:56Just to give you a recap, the conversation was built around buying your time back in corporate America. One big limitation for people who were starting a business is they never get to the place of mastery in their business. And ultimately that limits your ability to create consistent profit. So it's almost a catch 22. You have a full time job that's putting food on the table, but that full time job is actually keeping you from maximizing your business. So the name of the game was based on our conversation last week, accumulate enough profits in your side business, take that money, buy your time back in corporate America for at least six months or a year where you can dedicate 100 percent of your time, energy, and resources to building your business, not just with the intention of making profits you will, but really with the intention to master your business because mastery means you can now create profits on demand. It's no longer about hoping, wishing, and wanting. It's now about knowing and going and doing because you have mastered your business and that is a strategy for any part time entrepreneur to transition into a full time. Speaker 2:2:03So now let's get into the cashflow quadrant, and from there we're going to go deeper into the concept of the freedom formula. So Robert Kiyosaki breaks down the different types of people in how they earn an income based on four categories. Category One, employees, they trade hours for dollars, time for money, right? The work, they get a check, they don't work, they don't get a check. Then you have self employed people who are specialists, maybe they're a doctor or an accountant or lawyer. They're self employed. They own their own business, but because they are specialists, they are the only people who can do their function, which means they are still basically tied to the time for money trap. Then you have business owners. Business owners get paid not for their time, but they get paid for results. The profits that are generated within your company. Now where do these profits come from? Speaker 2:2:57Well, it comes from the work and the of their employees. So business owner builds an organization of people who work for him and because he has people working for him, those people are putting into eight hours a day. They're the ones marketing, promoting and selling, and based on those profits, the business owner will generate an income. Then you have the investor and the investor has money working for them. So the investor money in real estate, the stock market, whatever they can do to grow their money without physically having to put in time or effort of their own. So the four different categories in the cashflow quadrant are basically giving you a visual right? I encourage you to download these slides. We'll have them on our website so you can use it as a follow on guide, but a visual to see how different people make money. Speaker 2:3:45So if you're on the left side of the equation where you have been an employee where you've been trading time for money, you've been conditioned to get that paycheck every two weeks like clockwork, no matter what to transition into the right side of the equation where you're building systems and processes and building teams and you're getting paid based on results and performance and profits and you know whatever it is that you're doing as a business owner or investor, it is totally a mind shift and that is what this conversation is about. The idea of starting a business and the value starting a business, it is true. You can create unlimited income. You are not capped out at all. As a business owner, you can make hundreds of thousands, millions, even hundreds of millions of dollars. You don't hear about the secretary working in corporate America. You know who's driving a Bentley or a Rolls Royce. Speaker 2:5:46If you're in a room with air conditioning on the temperature in that room is set to stay within a certain range. Let's say you set the temperature range between 68 and 70 degrees, so the temperature always remains within that range and the thermostat kicks in every time to ensure it's always within that range. Well guess what? People, human beings also have a thermostat in different areas of our lives. So let's say someone's an introvert, and again, the social situation, like a party where they have to talk to a lot of people. If someone's really introverted after a certain amount of exposure at that party, they're just gonna. Want to go back to having your own time? Well, the same thing also is true when it comes to finances. So as an example, let's say John, who's really, really good and making money, he's always cashflowing, you know, making hundreds of thousands of dollars and for whatever reason, let's just say he loses his job or his business begins to tank. Speaker 2:6:40Well, it'll just be a matter of time before John gets his income back to where it was because he's got his financial thermostat set to a high number. Does that make sense? Now at the same time, let's say you have $100,000 in your bank account and let's say that is your financial thermostat range, and then all of a sudden you start making way more money. Let's say you make 180 $200,000 now because you are above your comfort zone or above your financial thermostat, subconsciously you're going to find ways to spend it all. You might think, well now that it's finally time to treat myself to a new car, I need a new vacation. So ultimately you're going to sabotage that increase in income and bring it right back down to your financial set point. So the idea is we have to begin the process of reprogramming the internal game. See, making money is actually really, really simple. Once you master the mechanics of your business, the hard part is the reconditioning and the reprogramming of our financial thermostat, which in fact is the foundation to your longterm financial freedom. That is how you're going to create true wealth. Speaker 2:8:53now. It's interesting because we hear this concept of financial thermostat and cashflow quadrant. What's really interesting is a stat that I learned about men almost 15 years ago and it was when I first got introduced to network marketing, and I think this was kind of like how they got me the mentality of becoming an entrepreneur. The stat they gave in a presentation was for every 100 people who reach age, 65, 95 percent of those people end up broke or debt. So in simple terms, 95 percent of people by age 65 are dead or dead broke. And then he said, five percent of people end up financially free. So we're looking at those statistics. I actually ended up doing research on that and it blew my mind because those statistics are actually true. So to keep it simple, if you were to look out in the street for every 10 people you see, one out of those 10 will end up financially independent and the other nine are going to end up broke, busted, disgusted, struggling and dependent on friends, family or the government when they reach age, 65. Speaker 2:9:55Now beyond that, so we know that that is what the masses are going to experience. If we know that that is the reality for most people long term, looking at these statistics that should actually empower us rather than scare us. Because what it means is if you're aware of this information and knowledge ahead of time, the question you should be asking yourself is, what can I do now to position myself to become part of the five percent? To become part of the group of people who are in fact wealthy, financially free, who can do what they want when they want. Because it really is a choice and that's why at maximum [inaudible] dot com, you know, our whole motto and Mantra is success as a choice because regardless of how you start, if a person is willing to go deep and focus on modifying their behavior, and what is behavior? Speaker 2:10:39Have you remember that from our two episodes ago? We break it down. Behavior is what? Attitude. Actions in that ability, your ability to change what changes. So if someone was willing to really work on themselves as hard as they do on their job, in fact, Jim Roan says it all the time and one of his famous quotes, work harder on yourself than you do anything else, right? So if someone were really willing to work hard in modifying their behavior, reprogramming that Thermostat, developing the habits of wealthy individuals, it's guaranteed to pay off long term, right? But the problem is most people are focused on chasing the money rather than chasing change. So we want to begin taking a step back and begin looking at ourselves and ask ourselves, well, where am I in the financial spectrum? What is my financial thermostat set to? What are some of my limitations and thinking and behavior that I need to become aware of so I can begin to start changing this because you can't expect to change until you change, right? Speaker 2:11:31So no matter how much money you make, understand that you're never going to progress to that next stage in life financially until you can change how you are emotionally, mentally, spiritually, when it comes to your relationship with money. It is by far one of the hardest things I had to experience because my story goes back to her. You know, I got started in my business at the age of 18 and never had job in my life. Right? So I think my first business I started when I was 16 years old teaching kids how to play guitar for 20 bucks an hour. And then eventually I heard the concept of doing group classes and being able to, you know, make more money with the same amount of time. So in fact we call that collapsing timeframe or scaling, right? So I was able to start earning an average of like a 100, $200 per hour at the age of 16 I was making some crazy money for a 16 year old and eventually that led into me starting in network marketing and within about a year, year and a half in that business, I started making 10, 15 grand a month at the age of 19 years old. Speaker 2:12:28So at 19 I was already making more than my parents. I was making six figures, I was making more money than all my friends. So it was kind of exciting. In fact, it was very exciting because that's what I aspire to accomplish, right. But of course with all that came all the challenges of new money with a young person. So think about it. I started making all this money and I had no discipline with money. I had no money management skills. Why? Because I never experienced it. I had never experienced this type of income before. And not just myself, but no one in my family had either. So everybody in my family basically was accustomed to a 50,000, $80,000 a year income. That's what they knew how to manage and not just at but there were also employees, but now here I was 18, 19 years old in a business of my own making six figures. Speaker 2:13:13It was a completely different conversation and not just conversation strategy in different skills required and of course I completely dropped the ball. I started making money and spending it as fast as it was coming and not just spending it, but even spending money I didn't have because then I got introduced to credit cards. I was given huge credit lines. Ten, 15, 20, $30,000 credit lines at age 19. Right? Meanwhile I'm over here spending everything. I'm making an also now racking up credit card debt, putting myself in a position where on the outside looking in it's like, yeah, you're doing well in business. You're making six figures, but you're still broke. So I ended up becoming broke, but I was just broke at a higher level. Right. Instead of driving a Honda and being broke, I was driving a porsche 9:11 in broke instead of living at home with my parents being broke. Speaker 2:13:58I was living in a new condo in Aventura, Florida right next to the beach and broke. Right? So it, it was really a devastating situation, but it was a very important eyeopening experience for me because once I went through that cycle, that breakdown of financial struggle, right? The struggle of dealing with all this income and not knowing how to do it and then the breakdown of basically me getting to a point where I just broke down financially. I mean that was just totally in debt and it got to the point where I was so in debt that I couldn't even pay the bills and I'm making all this money, but it still was just going everywhere else. But to myself. Right. So that breakdown got me to wake up right now wake up, I started realizing I got to change some things. They got to reprioritize, I got to organize. Speaker 2:14:39How do I expect to get wealthy if I can't even manage, you know, 10, 15 grand a month, right? And that's the reality. If you can't manage the small money, how do you expect to manage the big money? Does that make sense? So in that experience, I learned right away that the truth is making money is actually simple. Managing the money and becoming a person that can handle big money is the true challenge that is going to take the work that's gonna. Take time. You know, having the ability to handle millions of dollars and maintain that discipline is truly a skill that most people will never develop. And the reason why they don't develop it, it's not because they don't want to it just because they are unaware of it. They don't realize if this is an important part of wealth, your financial muscle, the discipline that you have to do to manage money wisely and correctly, and that's the difference between poor people, middleclass enrich people, right? Speaker 2:15:33Poor people are just focused on survival. They don't really care about what happens next week or next month. They're just living for the moment. Living for the day, because you're in survival mode, right? They get a check, boom, they're spending it on food, paying rent, and that's basically it. They're just surviving. Then you have people who are striving, which is the middle class. These individuals are doing okay. They're making 50, 60, 80 grand, 150 grand a year, and the money they're making, what they're doing is you're just spending it through buying a home. They're buying a car, they're enjoying life and they feel like you're doing good. A feel successful because they have all the trappings of success. The name brand, purse and a name brand clothes and your kids go to this private school. So yes, they have on the outside what looks to be success, but in reality what they're really doing is buying themselves a financial trap. Speaker 2:16:18You're buying themselves a financial prison because they're going to end up generating all this income with one purpose to do what? Pay All these bills and pay all these liabilities. So there'll be just like how I was when I was 19, you know, making a lot of money but still broke, right paycheck to paycheck. Just broke at a higher level and then you have the third category of people who are free and the free people are wealthy, right? Wealthy, according to Robert Kiyosaki and I used this last time in our last episode, is the number of days someone can live and maintain their standard of living without having to work right and not have to sacrifice anything and it's going to be built around. Savings is going to be built around. Investments is going to be built on income, passive income, all these different metrics that go into it with the people who are free, they're free not because they make a lot of money, they're free because they have money making them money so they don't have to make money. Speaker 2:17:08They are free from the work for money, time for money equation. They've set themselves up where everything is paid for, it pays for itself, and we'll go deeper into that next episode where we're going to go into the three stages of the freedom formula. So today's conversation was giving you the awareness around your financial thermostat and understanding that we all have a conditioned mindset when it comes to money. We have a certain discipline muscle when it comes to money management, and we all have certain shortcomings and strengths when it comes to how we manage our money and our finance. So the conversation today is we want to begin preparing ourselves for the transition from employee to business owner, from business owner to right to go from survival to striving to free. If we want to become free, we've got to begin working internally as much as we do externally. See you guys next week for our next episode. I hope you guys got great value today. Speaker 1:18:05I hope you enjoyed today's session. Have maximize. Make sure you check us out and Max knows.com and subscribe and you'll get access to all our free resources. Also, make sure you follow us on twitter at Max, a nols, our youtube channel where we actually had the video version of today's podcast and I look forward to seeing you guys next week. Take care and have a great week. All content © 2019 Maximized .